One year Edgeworks membership for just $399! That's $230 bucks off! PLUS The Edgeworks Climbing team will be holding a fund raiser, come support the team, grab a baked good, and enter the raffle for a FREE pair of Evolv shoes. In addition to the Membership Sale, we're stoked to offer a TON of holiday gift packages. These packages are perfect for any outdoors enthusiast- and make great gifts! Easily the most inspiring films of the year. Mountain sports, culture and more. Tickets sell out so act quick! ...READ MORE Winter climbing camps for your stir crazy climber! Choose from morning or afternoon sessions (OR BOTH!) during the winter break. Edgeworks is now the place for New Year’s Eve fun! ...READ MORE Are you a Scout or know of some scouts? 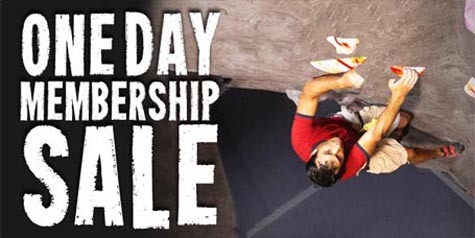 Come and enjoy an evening rock climbing while developing great friendships, useful skills and self confidence!